In the age of free phone calls and Skype, one group of people is still paying exorbitant rates for talk time: prisoners. The bill for a typical 15 minute state-to-state call tops $16 in some areas. That's because most prisons offer exclusive deals to phone service providers in exchange for astronomical commissions. The Federal Communications Commission labeled interstate inmate calling services (ICS) a government-sponsored "monopoly." The FCC wants it broken up. On Friday, the agency opened for public comment its proposed rules to lower interstate prison phone call rates. Its plans include the establishment of an interstate rate benchmark, caps on rates and the end of exclusivity agreements. The fees providers pay to prisons add 43% on average to the cost of a call, the FCC estimated. As a result, prisoners pay far less for interstate calls in the small handful of states that do not charge commissions. New York, for instance, has banned commissions, and its average per-minute rates are as low as 5 cents per minute -- the lowest of all states' rates. Colorado's ICS, which does charge commissions to its payphone vendors, is the nation's most expensive, at 89 cents per minute. On top of per-minute rates, most ICS operators charge prisoners call-initiation fees, which vary from 50 cents to $3.95 per call. 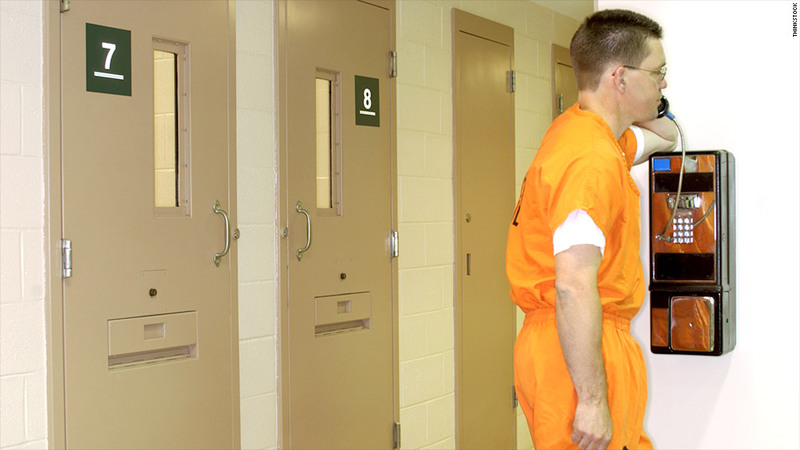 Prison calling services differ from typical payphones in some crucial ways. They can block inmates from making calls to certain people, including judges or witnesses. They can't dial 800 or 900 numbers, and phone conversations can be monitored. If a prisoner is repeatedly making a call to the same number, for instance, corrections officers might listen in or record future calls. The systems also periodically notify the recipient that the call is being placed from a jail. All those features -- and the personnel needed to manage the systems -- make prison systems more costly to operate than regular payphones. But the wide disparity in ICS rates suggests that some operators are going overboard. Interstate calls make up only a small subset of phone calls from prisons, the FCC noted. They tend to be the most expensive, though, and any steps to reign in their costs would "be effective in helping lower the cost of contact between inmates and their families," the commission said in its report. That could end up saving federal and state governments money over time. A recent study from the Government Accountability Office found that contact with family "aids an inmate's success when returning to the community" and lowers the chances that a prisoner will end up back in jail. The FCC proposal comes more than a decade after a U.S. District Court dismissed a class action lawsuit initiated by Martha Wright of Washington, who claimed that she paid $1,000 a year to cover the costs of her grandson's phone calls from various state prisons. The judge in the case referred Wright to the FCC, which she contacted nine years ago. One FCC commissioner acknowledged the horrendous turnaround time, saying in a written statement that Wright "could not have expected to wait longer for action on her petition than it took the prison system to release her grandson." The public has 60 days to comment, and the commission has 90 days to respond.